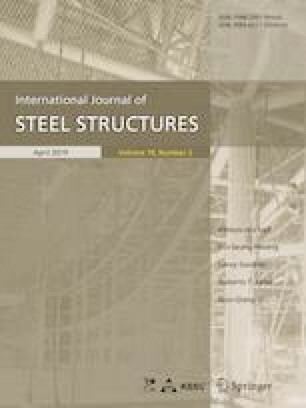 This study focuses on the analysis of the tapered beam–column having functionally graded section. By using two different methods, the substantial effects of the coupling–extensional bending of this structure are considered. Both second-order effects and flexibility of connections are considered in the analysis. The suggested exact stiffness matrix is very general and suitable for analyzing any plane frame, which has non-prismatic members and various types of connections. By using this formulation, the frame stability analysis of the FG beam with power function will be performed. Furthermore, the effects of semi-rigid connections and supports on the buckling load of 2D frames will be studied. Finally, comparing the new responses with the available solutions shows the accuracy, efficiency and capabilities of the proposed stiffness matrix. In addition, some new problems, including 2D frame, especially gabled frame, are solved using authors’ schemes. Table 13 reports the shape factor of several popular cross-sections.